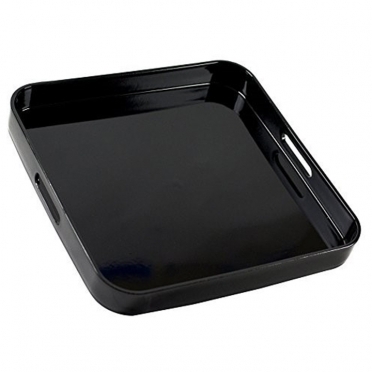 For a casual office party or family gathering, our "Lacquer Square Tray" is a functional and stylish way to serve your guests. Thanks to the handles, it is easy to carry heavy plates and other items from kitchen to table. Also, the high-gloss finish and color options will dress up your summer barbecue as well. Choose the shade that works with your decor so that your event goes off without a hitch.